Working with electricity and electrical equipment can be a dangerous hazard for an unqualified worker and could result in injury or death. NFPA 70E defines a qualified person as one who has demonstrated skills and knowledge related to the construction and operation of electrical equipment and installations and has received safety training to identify and avoid the hazards involved. Most companies are familiar with possible shock hazards and are aware that OSHA requires all qualified workers to be properly trained to work on or near electrical equipment. 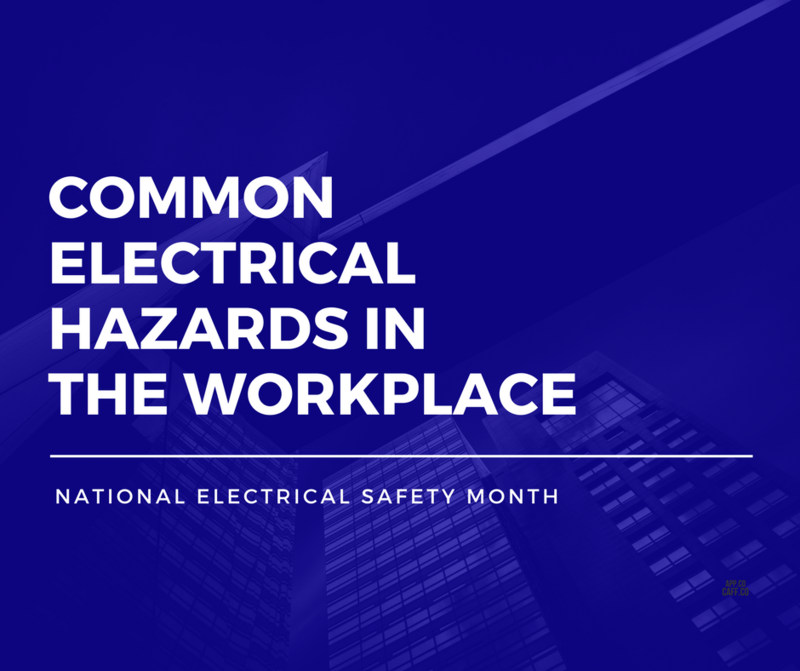 However, many are unaware that OSHA also requires unqualified personnel, such as maintenance staff, to be trained to recognize and avoid electrical hazards. These unqualified workers are not expected to work on electrical equipment, but they must receive sufficient training to ensure their safety and the safety of others in the facility. Contact with live electrical equipment and/or conductors is the leading cause of death and injury among electrical incidents. Power should be turned off and proper lockout/tagout procedures should be followed when working on a deenergized circuit to avoid accidental contact or restarts. Safety and warning signs, safety symbols, and accident prevention tags should be used where necessary to warn employees about electrical hazards that might endanger them. Signage should be visible, securely attached, and maintained in legible condition. Electrical cords and plugs are responsible for countless electrical incidents each year, yet these are among the easiest hazards to prevent. Never use a cord or plug that has evidence of burning, melting, or any other visible damage. If the insulation is damaged or missing or the cord has come loose from the plug, replace the entire unit. Never use a cord repaired with electrical tape and never use a cord with the ground prong removed. Missing covers on panelboards, junction boxes, switches and outlets expose energized circuits, which can create arc flash, shock, and electrocution hazards. In addition, missing covers provide a path of entry into the interior of the enclosure, allowing dust, dirt and debris to accumulate. Missing covers could allow objects to fall into the circuits that could arc or lodge in a way that presents a hazard when the enclosure is opened. Missing covers should be replaced immediately, and damaged covers should be repaired. Personal protective equipment (PPE) refers to items worn by a worker to provide protection from recognized hazards. Proper PPE should be used at all times. Depending on the task being performed, PPE can include rubber insulating gloves, non-conductive safety glasses, face shields, hoods, flame resistant clothing, proper footwear, and non-conductive hard hats. Accurate panel labels should not be forgotten or overlooked. Temporary or make-shift schedules can fall off or fade away. Always make certain your panel schedules are accurate, clear, and properly adhered to avoid misidentification. Be sure to update your panel schedules immediately when changes are made. All electrical equipment and installations should be properly maintained and inspected to prevent danger. This should include regularly scheduled inspections by a competent person which includes visual examination to look for visible signs of damage or faults, as well as equipment and installation testing and troubleshooting, where necessary. Only qualified workers shall perform tasks such as testing, troubleshooting, and voltage measuring within the limited approach boundary of energized electrical conductors or circuit parts operating at 50 volts or more where an electrical hazard exits. If you are concerned about a potential hazard that may exist within your facility or if you have questions, OlympiaTech is here to help. Please call our Service Department at 763-559-1900 or email our service manager Daryl Sittig at daryls@olympiatech.net for recommendations and assistance.